Unique alternatives to traditional types of wedding guest books can inspire bridal couples to try something creative. A few fun ideas will help you capture the magic and romance of your wedding. Most people know that wine gets better with age, just like a great marriage. This guest book alternative lets you celebrate your future anniversaries and remember your guests at the same time. 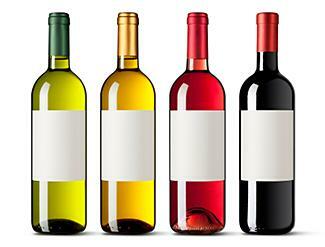 Apply a blank label to each bottle of wine. On one tent card, write, "To be opened on our first anniversary." Place the tent card in front of the bottle. Repeat for each bottle of wine, varying the anniversary as you like. Consider assigning bottles to your first, fifth, tenth, 15th, 20th, and 25th anniversaries. Instruct guests to sign the blank label on any bottle. In years to come, you can open the bottle of wine and enjoy the special signatures on it. Do your friends love posing for goofy photos? 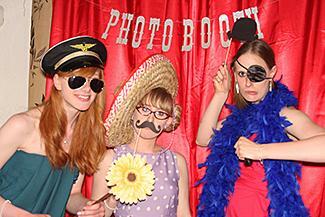 If you're a fun-loving couple, you can celebrate with guests using a photo booth. Many photographers offer photo booths as options in their wedding photography packages, but if yours doesn't, you can make your own. 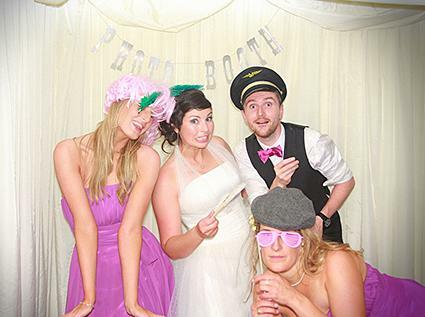 Begin by assigning someone to be in charge of the photo booth on your big day. This could be a friend, groomsman or bridesmaid, or someone hired to do this job. Choose a backdrop that reflects the look you want. Plain white lets your guests really shine, while funny scenes or cut-outs can add goofy charm. Take a few practice photos to make sure the camera settings, lighting, and angle are right. Set out a box full of props and costumes. Include crazy glasses, funny hats, scarves, stuffed animals, flowers, and other fun items. Encourage guests to get creative and take lots of photos of themselves. Have guests print one of each photo for themselves and one for you. You can add some old-fashioned charm to your wedding guest record by having your friends and family sign blank quilt blocks with fabric markers. 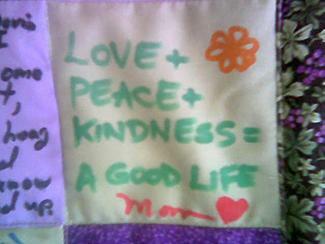 A talented friend or family member can then sew the quilt up for you to create a family heirloom. Cut the white or ivory fabric into squares that are six and a half inches on each side. You'll need one square for every wedding guest, plus a few extra for do-overs. Cut the other fabrics into same sized squares. You'll need a total of 256 squares, including the white ones, for an eight foot by eight foot quilt. Pick out fabric markers in colors that match the fabrics you've chosen. On the day of the wedding, lay out the white or cream-colored fabric squares on a table. Place the fabric markers where guests can reach them, and instruct guests to write a brief message and their name on a square. After the wedding, gather up all the squares, and mixing then with the printed fabric squares, create a quilt. You can proudly show off the first letter of your last name when you create an initial guest record. This makes a great wall hanging in your home. Orient the mat board so that one of the shorter sides is facing you. Carefully draw the initial of your last name on the mat board using a pencil. Leave space at the edges for the frame. When you're happy with the initial, use the craft knife to cut out the center of it, leaving only the initial-shaped mat. Cut the poster board to fit the 16 inch by 20 inch frame. Remove the glass from the frame. Place the mat in the frame, followed by the poster board. Attach the back of the frame. Your initial should show through the front. Instruct guests to sign their names on the poster board initial. After the wedding, put the glass back in the frame to protect your special memento. Embrace nature with this fun idea. Instead of a book, guests will sign paper leaves that they can attach to a tree. 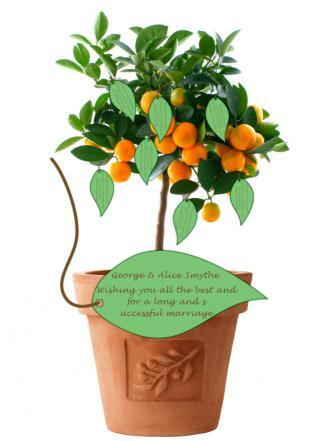 After the wedding, you can plant the tree in your yard. Cut the green paper into leaf shapes. You'll need one for each guest, plus a few extra ones in case of mistakes. Punch a hole in each leaf shape. Cut the string into 12 inch lengths and tie one end to each leaf. Have guests write their name and a short message on a leaf using a brown marker, then tie the leave onto the tree. Any couple who's been married a long time will tell you that times change. You can enjoy this concept at your 25th anniversary with a time capsule your guests create on your wedding day. 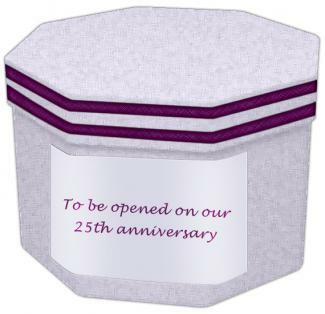 Decorate your box or canister to match your wedding colors and include the words, "To be opened on our 25th anniversary." In your invitation, instruct guests to bring an object that represents both of you or a special time in your lives. Set out permanent markers for guests to write their names on the objects they bring. Have guests place all the objects into the canister or box. They can also include a note if they wish. After the wedding, seal the lid with the decorative tape. Wait until your 25th anniversary to open it. Having a record of your wedding guests is a great way to relive the memories you'll have of your special day; however, there's no reason to stick with the standard guest book. These creative ideas will help get everyone involved, providing even more special moments for you to remember.